Russian President Vladimir Putin has accepted Israel's offer to share detailed information on the Israeli airstrike in Syria that triggered fire by Syrian forces which downed a Russian reconnaissance plane, the Kremlin said Wednesday. 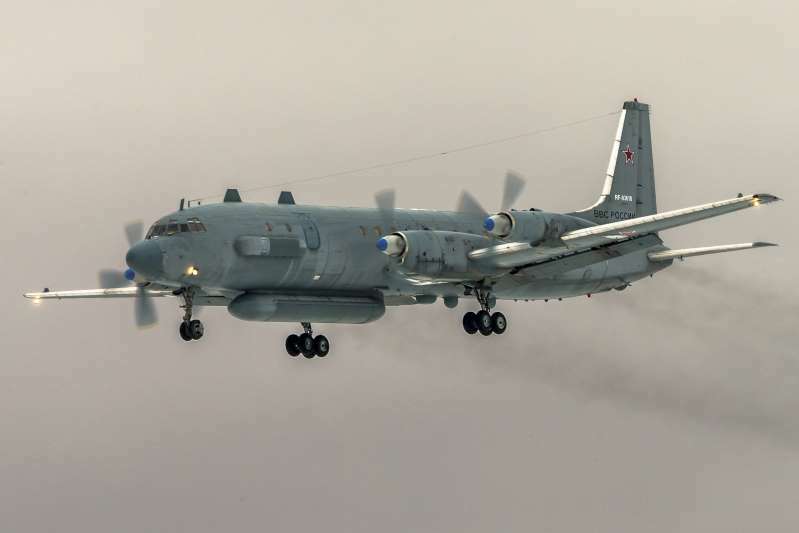 Syrian forces mistook the Russian Il-20 for Israeli aircraft, killing all 15 people aboard Monday night. Russia's Defense Ministry blamed the plane's loss on Israel, but Putin sought to defuse tensions, pointing at "a chain of tragic accidental circumstances." Israeli Prime Minister Benjamin Netanyahu called Putin on Tuesday to express sorrow over the death of the plane's crew and blamed Syria. Syrian President Bashar Assad sent Putin a telegram Wednesday offering his condolences and putting the blame on Israeli "aggression," the official SANA news agency said. Israel's air force chief is scheduled to arrive in Moscow on Thursday to provide details. Putin spokesman Dmitry Peskov told reporters Wednesday that Russian experts will carefully study the data that the air force chief will deliver. The Israeli military said its fighter jets were targeting a Syrian military facility involved in providing weapons for Iran's proxy Hezbollah militia and insisted it warned Russia of the coming raid in accordance with de-confliction agreements. It said the Syrian army fired the missiles that hit the Russian plane when the Israeli jets had already returned to Israeli airspace. The Russian Defense Ministry said the Israeli warning came less than a minute before the strike, leaving the Russian aircraft in the line of fire. It accused the Israeli military of deliberately using the Russian plane as a cover to dodge Syrian defenses and threatened to retaliate. While Putin took a cautious stance on the incident, he warned that Russia will respond by "taking additional steps to protect our servicemen and assets in Syria." Deputy Prime Minister Yuri Borisov said Wednesday that those will include deploying automated protection systems at Russia's air and naval bases in Syria. Business daily Kommersant reported that Russia also may respond to the downing of its plane by becoming more reluctant to engage Iran and its proxy Hezbollah militia, to help assuage Israeli worries. Moscow has played a delicate diplomatic game of maintaining friendly ties with both Israel and Iran. In July, Moscow struck a deal with Tehran to keep its fighters 85 kilometers (53 miles) from the Golan Heights to accommodate Israeli security concerns.